If you are considering whether to get the UK Miles and More creditcard, May 2013 might well be the month to have it and do your necessary spending for triggering the signup bonus. Miles & More is the loyalty programme of Lufthansa but it is also the ‘home’ loyalty programme for fellow members of LH Group: Swiss and Austrian, along with some others Brussels Airlines, LOT, etc. 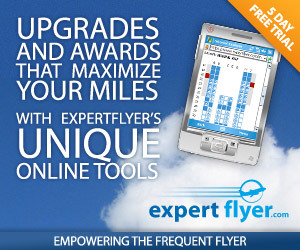 Plus you can earn with their other Star Alliance partners. This post is NOT about M&M itself, it is not even about their UK credit card offer itself, but rather it is about why – if you are thinking of signing up for it – May 2013 might be the month to make sure you have the card by. The cards are issued by MBNA in the UK, they do not have an annual fee, and come as an American Express and Visa pair of cards. The Amex normally earns 1.5 miles per £1, the Visa 1.5 miles per £2. This is increased slightly to 2 miles per £1 on the Amex, and 1 mile per £1 (2 per £2) for the first 6 months. There is a welcome bonus of 1,500 miles when you make your first purchase within 90 days of opening. There is also currently an additional 5,000 miles promotional bonus when you spend £500 within 90 days of opening. MilesandMore miles do expire after a period, but holding and minimal spending on the M&M stops this behaviour. Beyond that there is a possibly working originally targeted offer for 16,500 miles instead, see this post on HeadForPoints for details. The April offer is in partnership with Lufthansa worldshop. They also have an April compeition to win tickets to either the ATP World Tour Tennis in Munich, or a Beyonce concert in Berlin. The Miles & More Credit Card – whatever you pay for with it, for each 1 euro you spend on your daily shopping, fuel or flight bookings, you’ll earn 1 award mile. Now I do NOT know what this will actually be. My guess is that it won’t be as crack pot as the Avios.com creditcard relaunch offer (25 Avios per £ on foreign spend, thouse were the days….). This will probably be something like an extra 1 Mile per £. At a push double miles. If it is that, I don’t know how it will stack with the 6 month introductory bonus offer, my guess is that it will stack though. It is worth pointing out that Miles and More has credit card partners in numerous countries, there is no guarantee they will all be included, or that the UK one will be included, but my guess is that they will be included. And of course there is no guarantee that there won’t be a better signup offer during May. But personally, I doubt it, certainly NOT as good as the 16.5k potential, if that works for you. This promotion is more about celebrating 20 years, it would be odd if it new signups benefitted the most. So I think May 2013 might be a good month to have the M&M and do your signup bonus spending. AS ALWAYS: This is a financial services product, a credit card. I’m discusisng milage earning on it alone, I’m not discussing it as a general financial services product, and I’m not commenting on suitabilty to you (in a financial or millage sense). Please ensure you understand the product in full, and take appropriate advice if you need or want to before making any application.